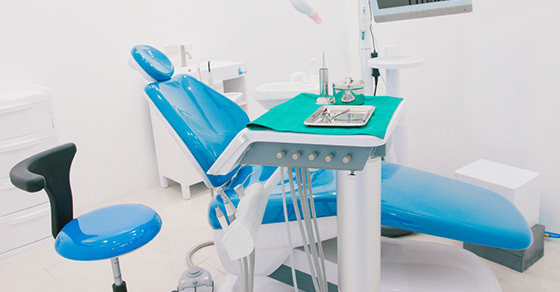 The Dental Industry in North America is one of the most competitive when it comes to Search Engine Marketing. Many Dentists prefer to target locally, and thus find themselves in competition with the other Dentists in the area. For Search Engine Marketing (SEM), Google Ads is the preferred platform for Dentists to do search ads – the ones that appear at the top of search results. The Dental industry is unique in that only a small percentage have adopted online marketing into their budget, however it’s quickly growing at a competitive rate. This indicates there is likely tremendous return on investment, and still an opportunity for a competitive advantage over those who have not taken up online marketing strategies. Through AdLuge, we have been able to use industry average data to help Dentists understand what should be expected out of paid search campaigns. The below data represents averages for nearly 30 dental practices that currently use the AdLuge Marketing Intelligence tool. Although many variables can affect each campaign, this information is valuable in helping the Dental industry evaluate the performance of their Google Ads campaigns. Comparing your performance to competitors and others within your industry throughout North America can help determine whether there is need for improvement in your strategy. The average Dentist spent $676.71 in October. This is down slightly from $743.12 in July. This is surprising, as you will see within this article, it is quite clear that competition had increased within the four months. Typically budgets must increase to compete with competition. Although the average overall spend decreased, you’ll notice that the Cost-Per-Conversion went up. Clicks were also down slightly. The average Google Ads campaign got just 129 clicks in October, down slightly from 136 in July. It is important to note that all Dentists measured through AdLuge tracking have a very targeted search marketing strategy. Amount of clicks is not always a true measure of performance. That being said, it is not surprising the clicks decreased considering the average spend decreased during that same time. What is surprising, is that the Cost-Per-Click (CPC) actually went down too. The average CPC went up from $5.46 to $5.24. This is likely due to other competitors reaching their monthly budget too quickly. If there is less competition on the bid, you will pay less per click. The average Google Ads search campaign garnered 6.2 form submissions or phone leads during the month of October, down slightly from July with 7 leads. Based on budgets, this means the average Cost-Per-Lead (CPL) was around $112 per lead. In July, the average Lawyer saw a Cost-Per-Lead of $106. Incredible value is still present in October, regardless of increased costs. In this case it’s important to consider how much a lead is actually worth. Spend was reduced this month and a higher Cost-Per-Lead than previous months was still prevalent. Figuring out the long-term monetary value of a customer will help determine an acceptable CPL threshold. The average impression share for all campaigns was about 47%% in October. This means that campaigns were only being shown for a little under half the time they could have been. This is sometimes a result of budget restrictions, however it can also be increased competition. Impression share was almost 50% in July. Strong competition is often a factor in impression share, as they are competing for the same target audience. In this case it is likely a combination of both competition and decreased budget. Whenever possible, we recommend to do your best to maximize impression share without compromising your Cost-Per-Conversion. This may require some trial and error over a few months! According to AdLuge data, the average Dentist received 3.2 new in-person consultations in October, down very slightly from 3.6 in July. Considering the difference is so subtle over nearly 30 Dental offices, performance month-over-month seems pretty consistent considering the decrease in budget and an increase in competition. Nonetheless, October was still a successful month to all AdLuge users!. Next month I will be writing an article on average lead trends for Dentists across several online mediums. This will help to understand some of the latest tips that other practitioners are employing in order to achieve better conversion performance across all efforts.